First elected to the Borough Council in 1978, Brenda has served on every committee of the council. 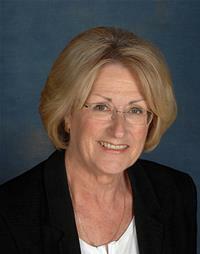 She was Mayor in 1990-91 and again in 2014-15. She was also Leader of the Labour group during 2006-2012. She was previously Chair of the Overview and Scrutiny Commission and currently serves on the Cabinet as Cabinet Member for Public Protection and Community Engagement. Brenda was married to the late Alderman Jim Smith. She is also a County Councillor for Langley Green and West Green. Her main interest is health and adult services, particularly dementia services and she was also instrumental in introducing the first baby room in The Boulevard.